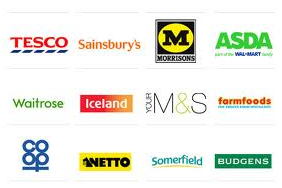 We have previously written a money saving tip on shopping but it covered supermarket shopping rather than shopping in general, so I apologise now if we have duplicated any of our tips. 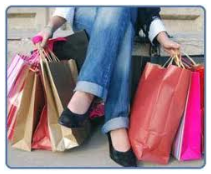 Some say shopping is an essential part of our lives, which to a certain extent is very true, however it really depends what kind of shopping you are doing. Food shopping is essential but there are ways of making it as cheap as possible. Buying own brand items is usually much cheaper than branded goods. It is also sensible to look at alternative places to shop. Lidl and Aldi are proving very popular in the UK at the moment, because their food is much cheaper than the other big supermarkets and the quality is pretty good. Shopping online could also save you money, as you won’t get distracted with buying items you don’t really need. 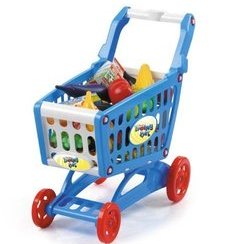 Do not go shopping when you are hungry, as you will fill your basket or trolley with stuff you do not need. We have plenty of other hints and tips for food shopping in a previous article, click here to read more. Most of my friends spend their whole weekend shopping regardless if they need anything or if they have any money. It is good to see so many people making use of the High Street and I hope it continues. Shopping bores me unless I am looking for something, which is when I struggle find anything that a) suits the occasion or b) fits me! I find it all a bit depressing at times. If you have a special occasion coming up why not have a good look through your wardrobe as I bet there is something in there that you could wear. Recycling old outfits is the cheapest way to clothes shop. I appreciate you might want something new for a special occasion but do you really need it. Could mixing an old outfit with a different jacket or shoes do instead? Not that we need an excuse for a get together with friends, but next time you are clearing out your wardrobe, why not suggest to friends they do the same – invite everyone over to your house and swap clothes. Whilst the clothes might not be brand new they will be new to you and could give you a new wardrobe without costing you anything, apart from a bottle of wine and a few nibbles! This works with friends who are around the same size as you or if you are talented enough to use a sewing machine to make any necessary alternations. Essentially, these are the same, as they each sell second hand goods. However, one goes into the sellers pocket whilst the other helps out the needy. 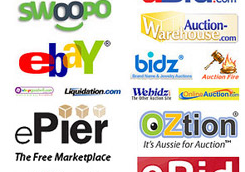 Sites such as eBay, Gumtree and Preloved are very popular second hand sites with most of the items advertised in good condition (unless stated). Charity shops usually have the items you can’t sell on auction sites and tend not to be as good quality. Have a look at both before hitting the High Street, as you might be pleasantly surprised with what you find. Many feel online shopping is killing the traditional High Street and to be honest I agree with them. With familiar High Street shops closing or going into administration, one wonders what our shopping centres will look like in 10 years time. Shopping online gives you complete flexibility as you can do it whenever is convenient to you, without having to worry about closing times. When you shop online you can search to find the cheapest price, with the lowest delivery charge. Online promotional code or discount code sites are becoming very popular as you can get money off or take advantage of special deals. Our site, Dicountandcodes.co.uk offers you the very latest deals direct from the source, making them 100% genuine. All our codes are genuine and have clearly marked expiry dates, making it easier for you to work out what is available to use. Discount codes can give you money off your order or free delivery or specific special offers. The site is updated on a daily basis ensuring our information is as up to date as possible. We have explained before the pros and cons of using branded versus unbranded goods. Doing an unbranded toiletry shop will definitely save you money. Wilkinsons is fantastic for personal hygiene products and household cleaning products, and is a lot cheaper than the mainstream supermarkets. Why not try Wilkinsons products for a month and see how much money you save, and assess the quality of the unbranded items. No need to buy kitchen and bathroom cleaners at silly prices as bicarbonate of soda is just as good, and it really puts a shine to your sink and taps, cleaning at the same time. Forget about using special floor cleaners – lemon juice mixed with water does exactly the same thing and old t-shirts and toothbrushes make perfect cleaning utensils – just remember to keep them away form the ones you use each day! There are plenty of sites online with instructions on how to make your own cleaning products. Try to look at alternatives to buying brand new. I will cover some ideas now and publish a detailed article at later date. Look at second hand shops and auction sites to pick up a bargain – if you keep the item you buy in good condition you can sell it on after you have finished with it. Accept hand-me-downs from family and friends. My youngest daughter was only 9 months at Christmas and far too young to care. Her present from Santa was a toy a friend’s child had grown out of it. We gave her a £30 toy for nothing. She loves playing with it and we were able to put the money in her bank account instead. We hope you find some of these hints and tips useful and you manage to save money along the way. Please feel free to contact us if you think of any other money saving tips we could share with our Discountandcodes.co.uk community.